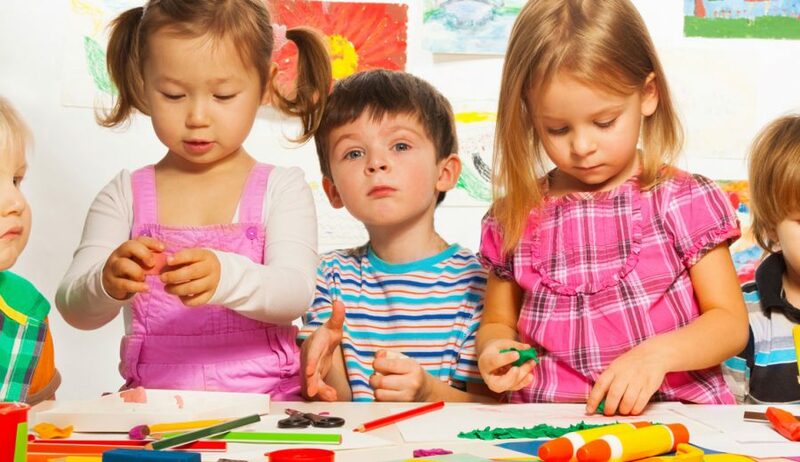 The Threes classroom provides a structured, supportive environment where young students add to their skill sets within each of the developmental domains. The curriculum is based on purposefully chosen themes that feature opportunities for sharing, creating, skill building, and having fun. Structure and routine continue to be the foundation of each day. The daily schedule gives the increasingly independent young child a sense of security. Specific developmental skills targeted include: cutting, sequencing, sorting, listening, sharing and following directions.